At 5:30 a.m. in April, the sun shines down on the Jagdalpur-Raipur highway in Chhattisgarh. A turn near Babu Kohaka in North Bastar Kanker leads to a village road flanked by bare trees. The air is pregnant with a sweet, pungent smell. At Badegauri village, a cream-coloured carpet of flowers engulfs the ground near the trees. This is the mahua flower windfall Devlal Teta and his family waits and prays for. They have been at work since before dawn, picking the flowers in a circle with the tree at its centre, careful not to step on any. The longest branch is the radius, and when they clear a part, it looks like the hollow an eaten pizza slice leaves on the platter. Their day started at 4 a.m. with a gulp of pej, a thick gruel of broken rice, maize, madiya and kodo millets, with mango pickle. By 7:30 a.m., it is already a furnace out there. At the centre, they move a little anticlockwise and return to the outer edge. This movement has significance in Gond culture—their clock runs anticlockwise; the wedding phera (rounds) are also counterclockwise. “Just like the earth orbits the sun,” says Teta. By 11 a.m., it is 40°C. But Teta doesn’t care. By noon, they hurry home with the day’s collection—six baskets of flowers. There is a festival in the village. Gonds from 12 villages are coming, he says. Many of his neighbours, however, are still picking. They will be late, or in some cases, miss it. The Gods will understand. In this season, mahua comes first. The Tetas own five mahua trees on revenue land. Every tree, on forest or revenue land, is for a particular family. In most cases, they were allotted generations ago. India annually produces more than 10 lakh tonnes of mahua flowers, putting it among the top five minor forest produce (MFP) in the country. In Chhattisgarh and Madhya Pradesh, it is the biggest MFP by revenue, accounting for `₹200 crore in Chhattisgarh, about one-third of the state’s annual trade in MFP. In the harvest season, the flower rules supreme. This year (by May 21, 2018), around 26,000 tonnes of flowers have arrived at Agricultural Produce Marketing Committees across the country. 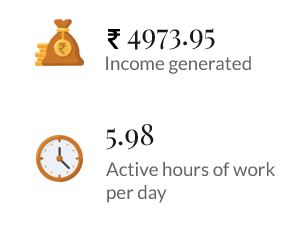 Chhattisgarh has contributed 55 per cent. The biggest market is in Ranchi, Jharkhand. The road between Ambikapur (on the Chhattisgarh-Jharkhand border) and Ranchi sees over 300 truckloads cross every year. 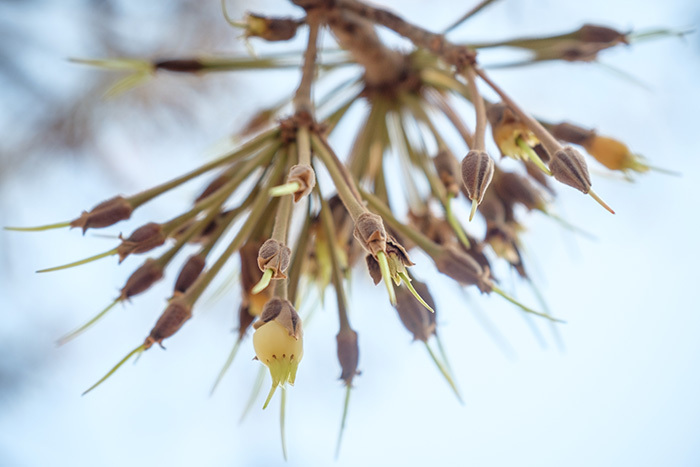 Smaller centres exclusively for mahua flowers are coming up. One is the retail market at Jagdalpur in Bastar. But Ranchi determines the price across India. Source: AGMARKNET portal of the Directorate of Marketing and Inspection, an attached office of the Department of Agriculture. The portal covers 3200 markets and receives data from more than 2700 markets. 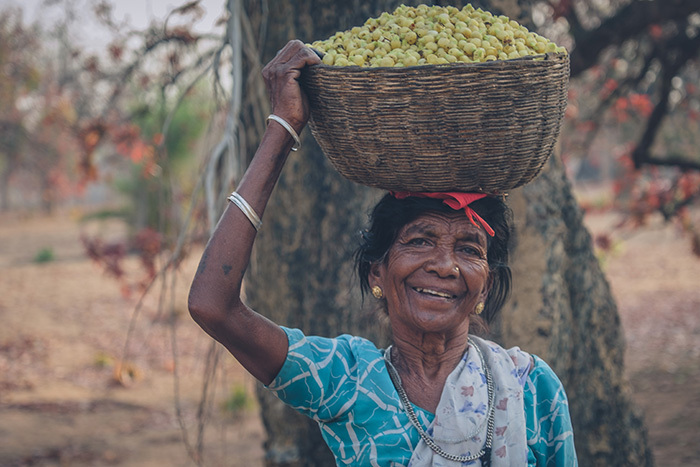 For over 75 lakh Adivasis across central and eastern India, most of them brushing the poverty line, mahua is a major cash crop. They eat the flower, barter it for grain, and sell it for cash. Though the income from daily collection is typically lower than the minimum wage, it is crucial as the picking season in March-April coincides with the lean season in agriculture. Mahua is at the centre of Adivasi life, at every stage and in every ritual. Gonds refer to themselves as Koyatur. They believe the first Gond, Koya Pen, was born under a Koya (mahua) tree. Many tribes believe it is nature’s reward—the kalpavriksha. 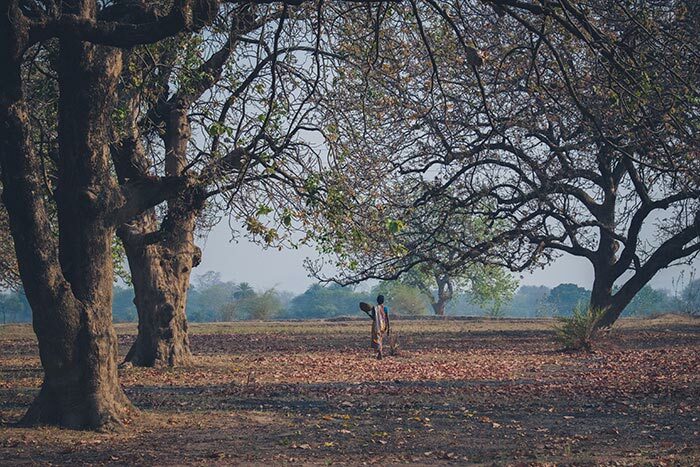 For tribes in central India, mahua is the tree of life. It provides food, fodder and fuel. In Chaitra, the first month in the Indian lunar calendar, Gonds celebrate Chaitrai Mahaparv. This marks the beginning of the new year and grants permission to consume all major foods of this season—mango, mahua flowers, char and tendu. From this day, they are allowed to eat this season’s mahua flowers. However, they can be used to make alcohol only after Mahua Tyohar, a festival exclusively for mahua, is celebrated before the rains. Pandum is not just a celebration but a way to maintain biodiversity by sustainable consumption. It ensures that Gonds don’t eat a fruit till it’s fully mature and its seeds can develop into saplings. 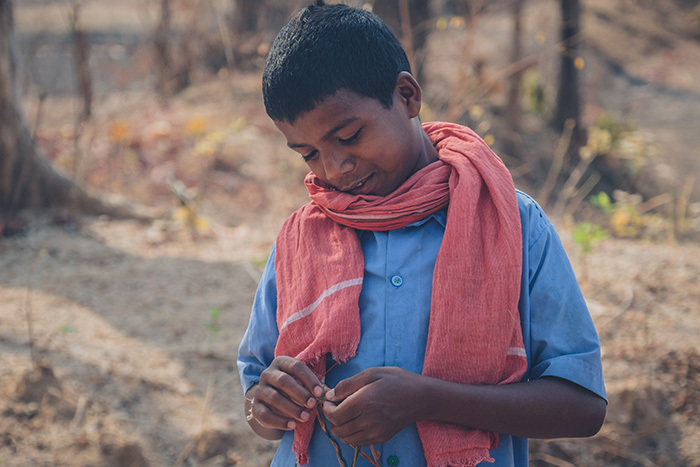 A mahua tree is never chopped down but passed on to the next generation. The older the tree, the higher the yield. So it makes economic sense to conserve it. 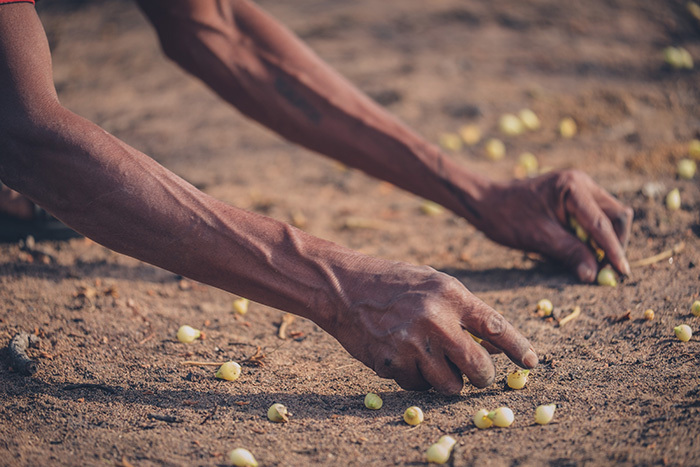 Mahua plays a role in the barter economy. For instance, an Adivasi pays with a bag of flowers for vegetables, a sight common across Chhattisgarh. Students of Patharipara government primary school sing a folk song about mahua laddoos. Photo: Sriram Vittalamurthy. 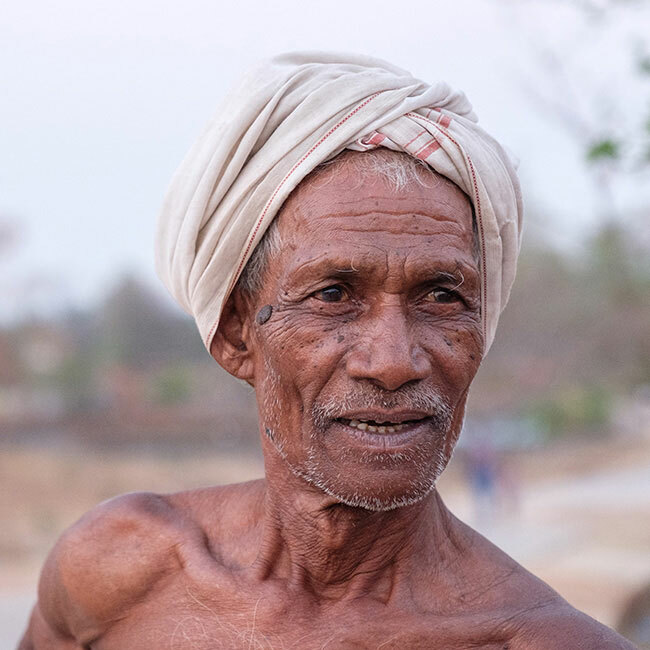 For the older Adivasis, it was often the sole hedge against starvation. 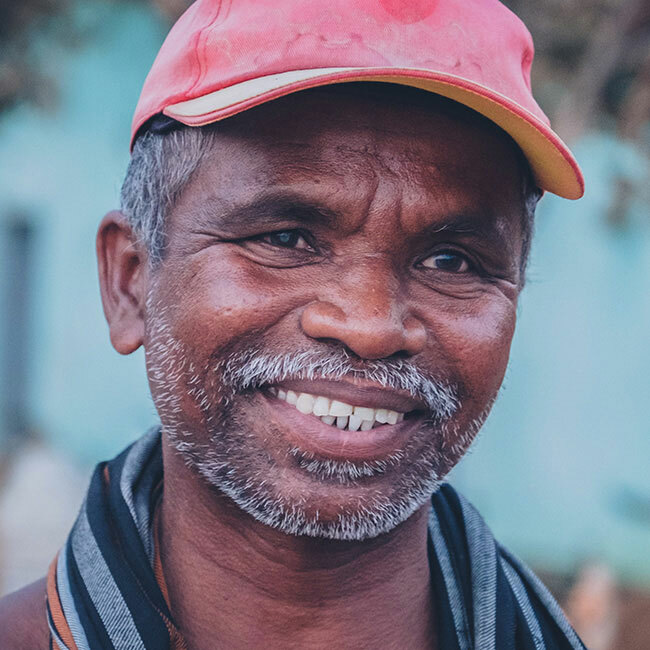 Gangaram Paikara runs the NGO Chaupal in Chhattisgarh which focuses on the Right to Food, a goal shaped by his experiences of hunger in childhood. 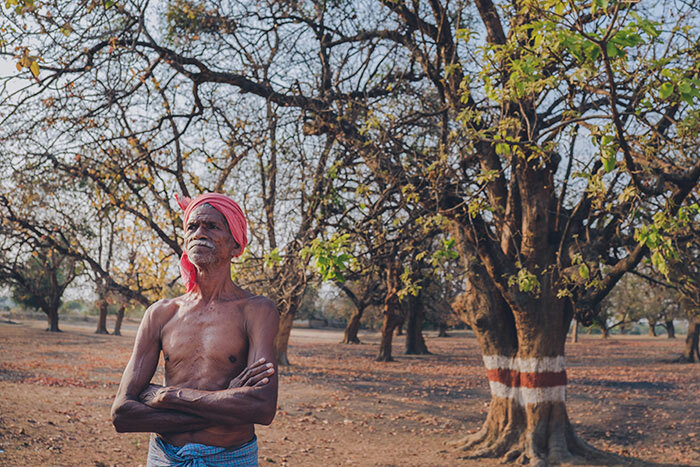 In the Bastar region, ravaged repeatedly by famine during the Raj, such stories are common. In Paikara’s family, boiled mahua was the staple meal. On good days, they made mahua laata—balls of boiled and crushed flowers. “I had not seen sugar or jaggery. On rare occasions, we made mahua ka paag,” he says, referring to the syrup made from the flower. “We would dip roti in it and eat. That was festival for us,” he reminisces. Mahua is a staple of Adivasi healers. Deomoteen Netam is the forest department mahila vaidya (woman healer) in Banspattar village, Kanker district. 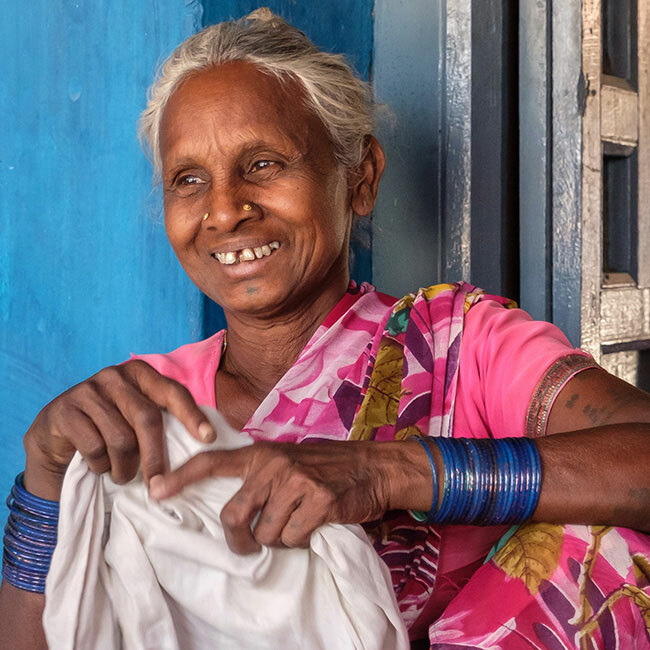 She enters her clinic at 10 a.m., carrying a collection of leaves, roots, herbs, and a sack (8-10 kg) of mahua flowers. A spoonful of fulli, unadulterated alcohol of mahua, is used for many illnesses, sometimes, with the juice of the flower. 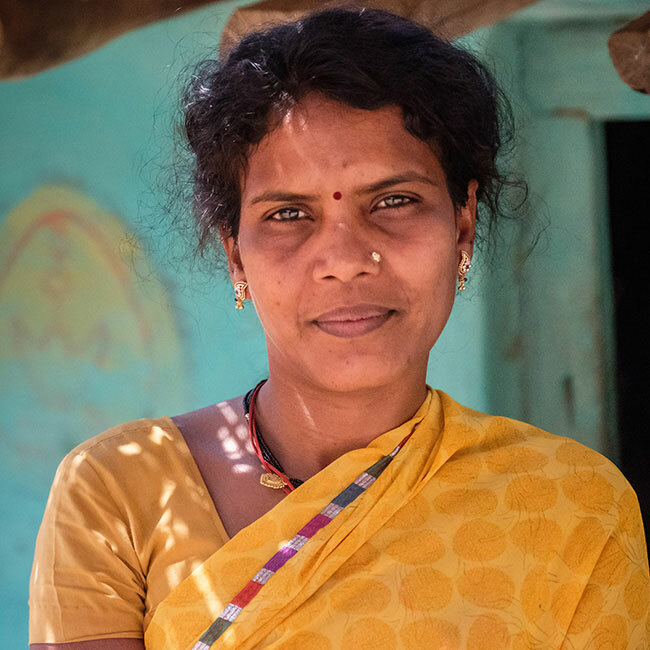 For snake bites, she mixes fulli with the root of a small plant. The bark is used for wounds and fractures. M. Amirthalingam and Nandita Krishnan have documented some of these uses in Sacred Plants of India. Source: Madhuca Longifolia (Sapotaceae): A review of its traditional uses and nutritional properties. But the oldest tradition is about the ferment of the flower: mahua liquor. Adivasis across India have made alcohol from fruit and grain for centuries. Barley beer. 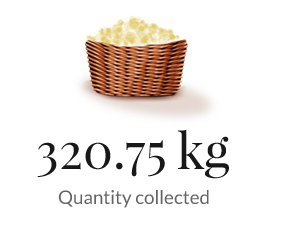 Prepared in wooden drums and served piping hot with a cube of butter in brass bowls or bamboo mugs. Made by distilling apples, apricots and peaches. Clear like vodka, it can be consumed straight or with water. Locals says it has better texture than cognac. Served hot, it’s prepared by adding boiling water to fermented kodo (finger millet). This high calorie, sweet-tasting, mild alcohol is used as a strength boosting tonic. Rice beer fermented in the shell of bottle gourd. Herbs and spices added for flavour. Ripe jackfruit and banana are common adjuncts. Spicy rice beer made by the Adi tribe, after a three-month process of drying, smoking, fermenting, and filtering. Served in a bamboo mug, the drink is sweet and spicy. A white, frothy beer made by Angami Nagas by fermenting sprouted grains of polished rice. It has fruity aroma but tastes sour. Comparable to Japanese Sake. The Loi community’s alcoholic beverage distilled from the ferment of unpolished rice and a wild creeper. Locals say it’s smoother than vodka. Fermented rice beer brewed only in the Garo Hills. 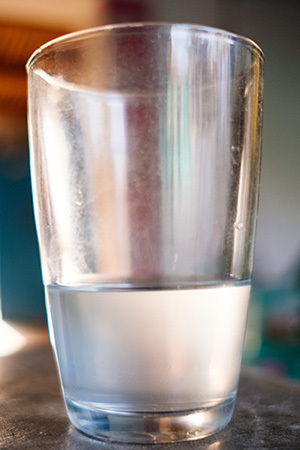 The sweet-smoky flavoured drink is light yellowish in colour. Flavours are often added using local fruits. Distilled alcohol made of Mami rice, Guria rice, pineapple, jackfruit, and chuwan (yeast starter). A Labrusca grape wine from Hnahlan town. Since the 18 year long prohibition was lifted in 2015, the state government has been promoting it. A heritage liquor of the royal families of Rajasthan. Closely guarded recipe uses saffron, over 22 spices, milk, honey and dried fruits. Roger Moore reportedly loved it. A clear, distilled liquor made of fermented mahua flowers. 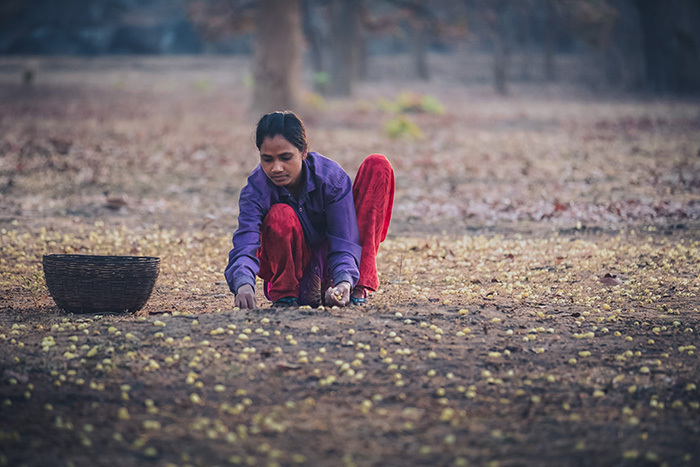 In central India, the magic ingredient is mahua flower. The drink has many names in various languages—mahua sharab, mahuli, ippasara, irukkall, mandh, or simply mahua. Padel has drunk it on many occasions during his stay in Odisha. “The best thing is that it is natural. Good alcohol comes directly from nature whether mahua or Scottish malt whiskey, or beer. The art of making mahua and other tribal drinks like salpu (palm wine) and rice/millet beer is highly developed,” he says. 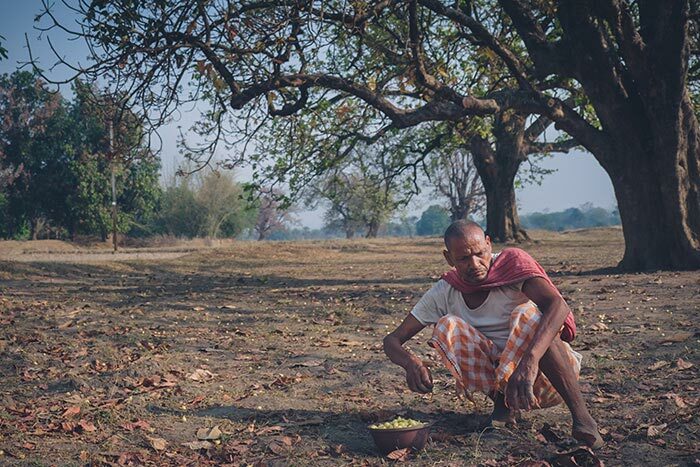 Mahua is to the Adivasis in central India what wine is to the French, or whiskey to the Scots. “Though it is better to be specific—mahua is distilled like whiskey or vodka, is colourless, and comes in various strengths,” he says. You drink mahua when you want to seal a deal here. 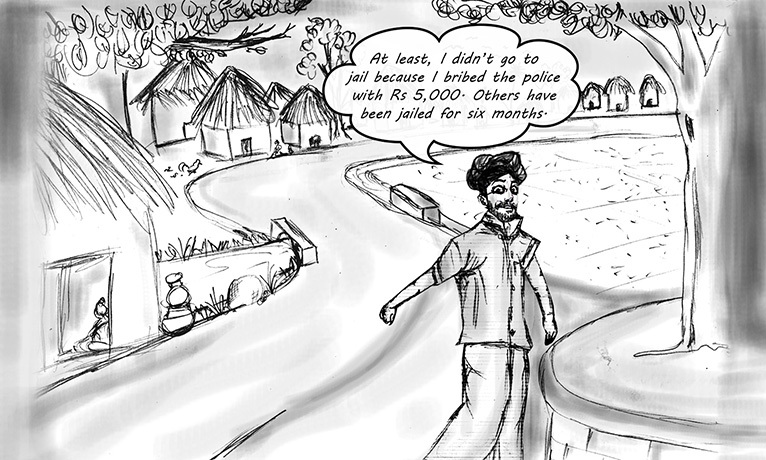 At the panchayat, fines for minor offences are paid in liquor. No ritual starts without a sprinkling of mahua. Gonds offer it to Pen (an ancestor who turned into a supernatural power) and ancestors. It also plays a crucial role in three significant sanskar (rites): Tonda (birth), manda (wedding) and konda (death). When a child is born, the umbilical cord is cut, and mahua liquor applied on the navel. The cord is kept in mahua liquor before it is buried. In Bastar, when a family contemplates a marriage proposal, they distil mahua. If it is good, the proposal is accepted. At the wedding, after the offerings, guests are served alcohol. The mandap has a mahua plant and is sprinkled with the liquor. 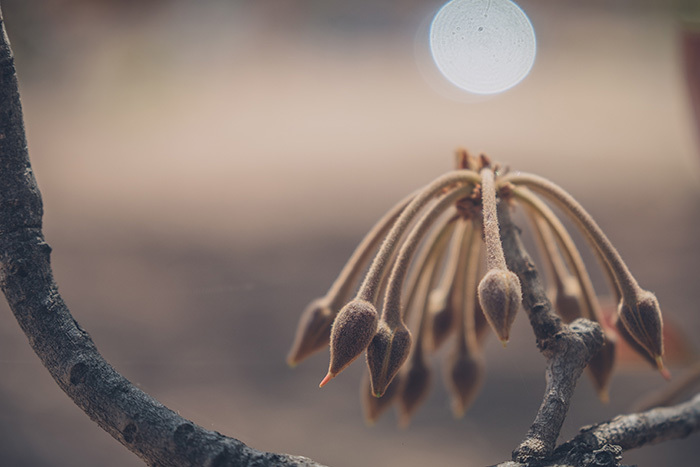 In death, mahua is crucial in the rituals to transform the spirit into a Pen. Afterwards, everyone drinks mahua. Several Adivasi legends subtly teach responsible drinking. The tribal deity Pashupati starts babbling like a parrot after drinking mahua. He drinks some more and roars like a tiger. A few drinks later, he can’t stand on his feet and starts rolling on the ground like a boar. Many Gond artworks feature Pashupati with motifs of parrot, tiger, and boar. Drinking is a social affair. Russell, in his book, mentions that “as a rule, one man does not drink alone”. Markam says: “Iruk jodta hai. Todta hai jab chhupke peete hain (Mahua brings people together. It creates trouble when people drink in secrecy). There is no gender discrimination. “Even today, you see husband, wife, neighbours and relatives making and drinking mahua liquor together,” says Paikara. At the weekly village haat at Thema, Punitram Sahu is sitting on a tarpaulin sheet under a peepal tree. He is a kochiya, the term used for middlemen locally, looking to buy mahua flowers. People come on foot or bicycle with small bags of mahua. A few children come by with baskets. Sahu suddenly shouts out to a woman walking by with a big bag on her head. “Baees (₹22) per kilo.” She stops. It is two rupees more than what he’d like to pay. An assistant grabs the bag even before she can put it down and weighs it. He shouts “19 kg”, neglecting to mention the additional 400 grams. 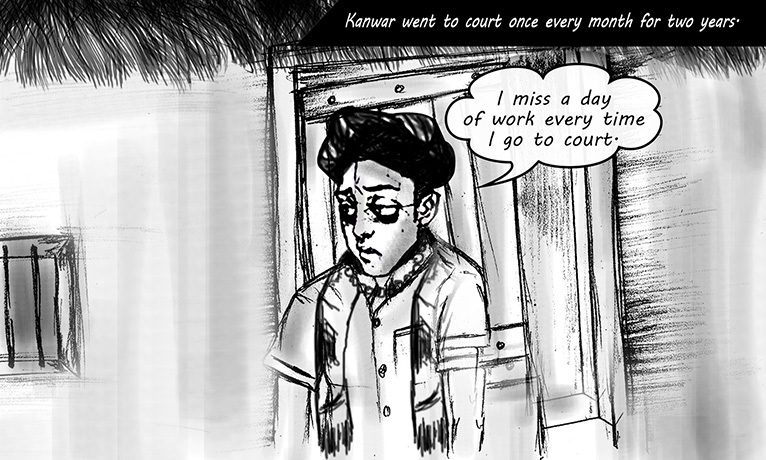 Even before the assistant throws the bundle into the day’s collection, Sahu is ready with crisp notes to pay the woman. People sell in small quantities to buy vegetables and groceries at the haat, says Sahu. He has collected over two quintals today. “I will sell this at Sarona market (the biggest weekly market in the area) tomorrow,” he says. For Adivasis, the trade performs two functions. First, it provides liquidity across the year. Take Teta’s case. In 2017, he sold small quantities of mahua frequently to meet household expenses. In May, he sold some in bulk and made about ₹10,000. This money is typically used for kharif sowing or for weddings in his community. Teta used it to add a small room to his house. Secondly, it provides Adivasis access to flowers across the year. They require cold storage, something most can’t afford. Teta saved only around 40-50 kg flowers of the nearly 5 quintals he collected last year to make alcohol. “I can’t store more. They will rot,” he says. He had to make liquor several times in the following months when his relatives visited. In October, his stock ran out. By then, flowers started re-appearing in the market. 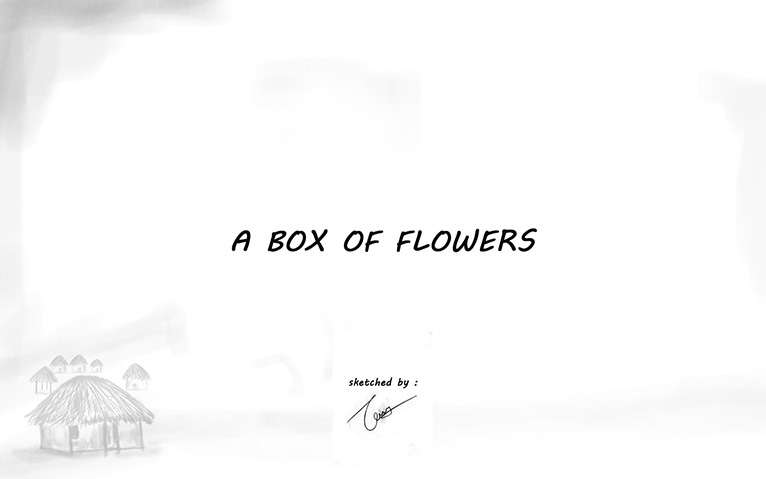 These were Teta’s flowers that went all the way to the cold storage in Raipur and back. Teta’s role reversed from a seller in April to a buyer in October. But prices changed. He sold at ₹20-23 a kg and bought at ₹50-60 a kg. The prices climb in January and February when everyone is flush with cash after the harvest. They don’t mind paying a little extra for the daily fix of mandh. Though mahua is the largest MFP in Chhattisgarh by revenue, the state has left the trade to the private market. 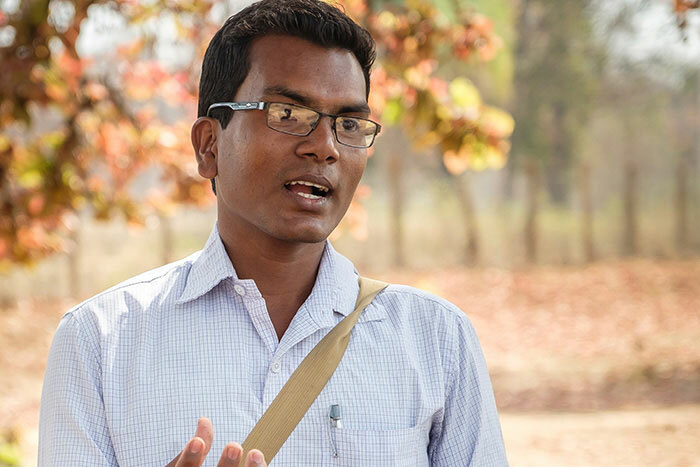 “Mahua flower is not nationalised, so collectors are paid badly, and the government makes no income,” says Nitin Potai, who chairs the forest produce federation at Kanker district. The federation is an experiment with the co-operative model comprising forest officials and Adivasis at the district level. It is a system of direct procurement, aimed at keeping the kochiya out. Several states classify the flower as an intoxicant though only the ferment is intoxicating. So there are restrictions on transit and trade, complicated by variations in regulations. For instance, flowers are freely tradable in MP while in Andhra Pradesh, it is the monopoly of a co-operative. Odisha requires a transit pass. In Bihar, it is banned. Unlike agricultural produce and several forest produce, mahua flower attracts 5% GST even if it is being traded or transported by a self-help group at the panchayat level. This restricts community access to better markets. Government policy hurts Adivasis in another way—by riding roughshod over their rights to make and consume the liquor. In other words, the culture is under siege. Police and excise officials harass Adivasis for making alcohol. The youth are turning their backs on this heritage, choosing the aspirational tipple of urban India: generic, off-the-shelf, industrial stuff. As a result people are afraid of or ashamed to talk about mahua openly. From a communal experience to a taboo has been a short step. Lodhi Ram, a 58-year-old Gond in Surguja district was charged with transporting three litres of mahua for sale. Three and a half years later, in November 2016, the Chief Judicial Magistrate of Ambikapur acquitted him. Moharmaniya, a 25-year old Adivasi woman in the same district, was arrested after police claimed to have seized 15 litres of liquor from her house. 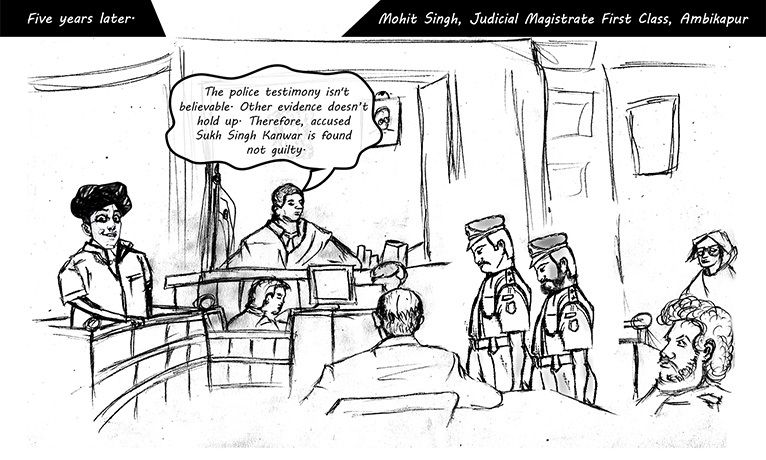 She too was acquitted after 18 months, in September 2011. 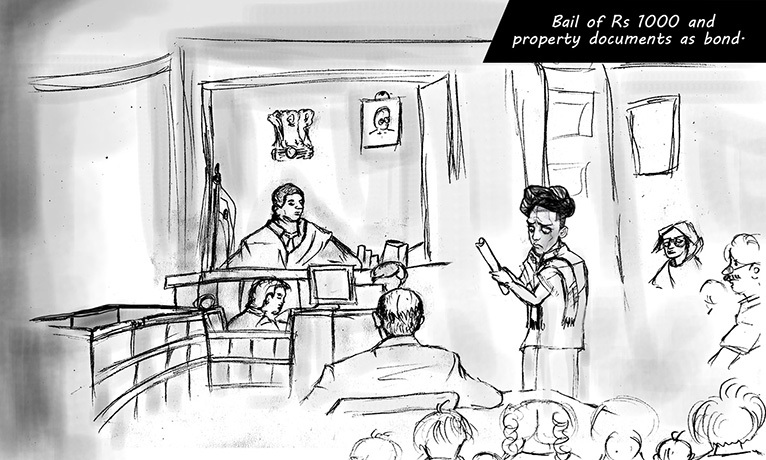 The grounds were similar—no witnesses to the seizure, no details of sealing the contraband, unexplained delay in sending it for examination and no details of storage. 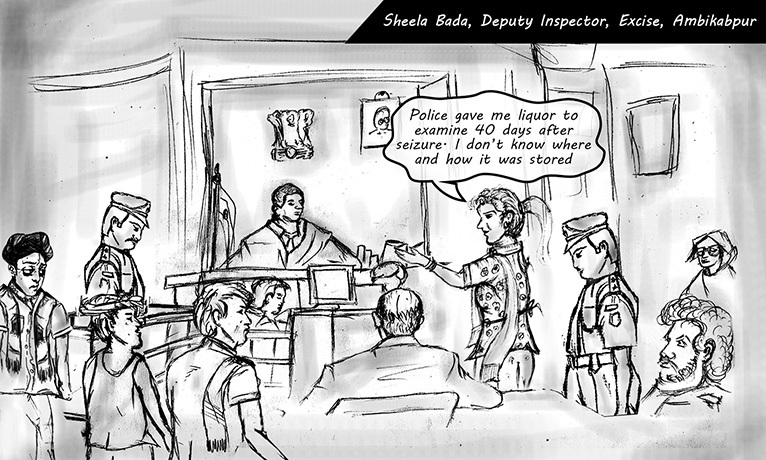 The crime records of the Excise Department don’t offer any insight either since the cases of prosecution related to mahua alcohol are clubbed under the country liquor offences. 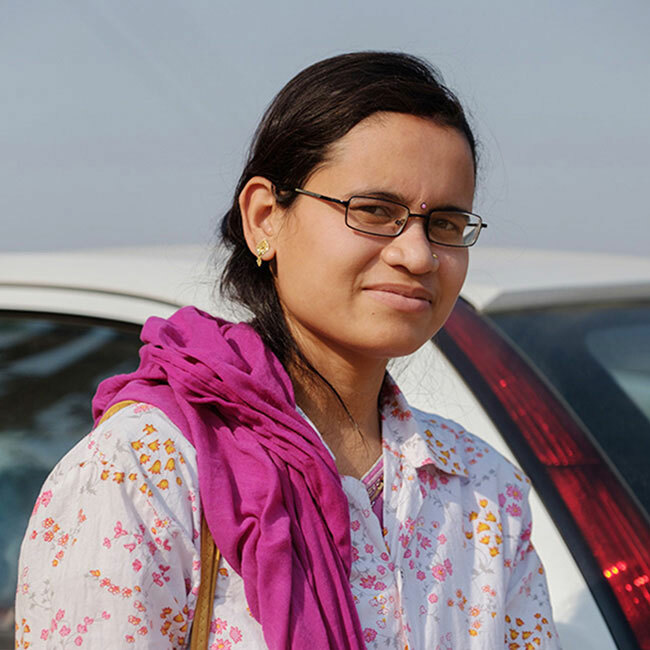 Also, the number of cases that involve Adivasis are not compiled separately. 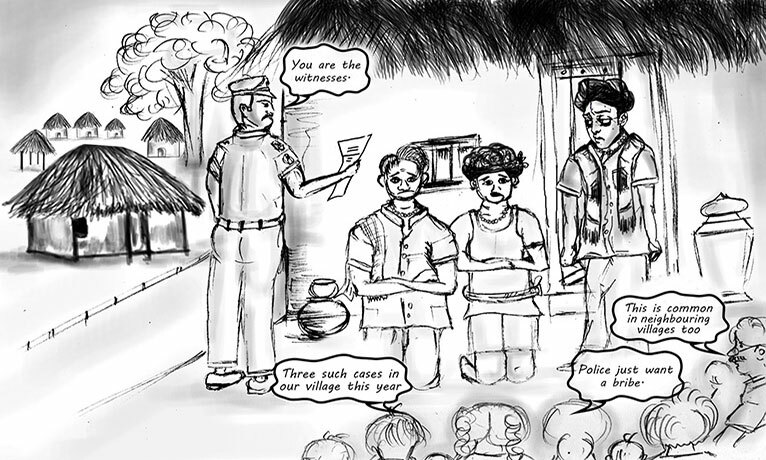 Stories of raids without search warrants are common in the Adivasi belt across states. A recent report found 25,000 litres in a basement in Ranchi, where pumps were used to lift the liquor to storage tanks. But paperwork on seizures and arrests is usually missing. Jharkhand was carved out of Bihar in 2000, ostensibly to protect Adivasi rights better but it has a blanket ban on mahua liquor. That hasn’t stopped it but led to a substantial illicit business. 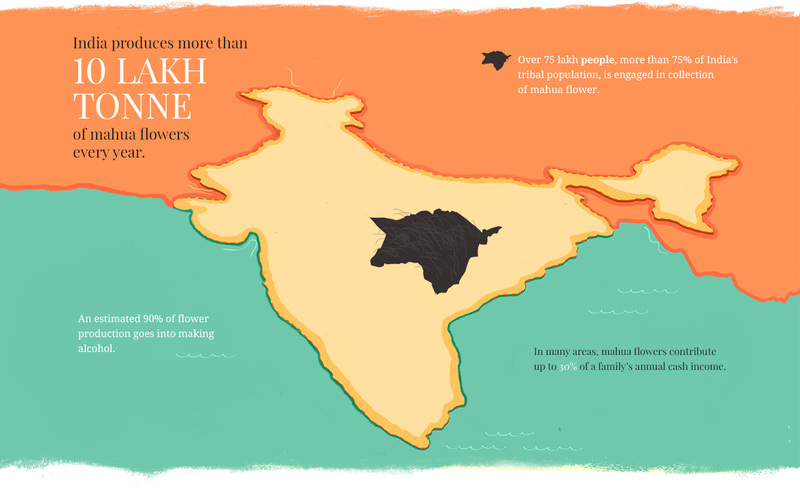 Today, 40-50 per cent of the alcohol consumed in Jharkhand is made from the flower. The people caught in these cases are typically impoverished. “Their women offer their silver jewellery to pay for their release. I feel terrible,” he says. “The liquor Adivasis make at home is mild and chemical-free. Non-Adivasis add urea and other chemicals to mahua. This is injurious to health, it may even cause death. Yet it is far more expensive,” the official says. He lays out what the ban has achieved: For Adivasis, harmful and expensive alcohol or criminal charges for making mahua; for the government, a drain on revenue; for private business, huge profits. In Maharashtra, prohibition seems to target Adivasis. Only three districts have prohibition but two of them, Gadchiroli and Chandrapur, have sizeable Adivasi populations. In Telangana, the state is infringing upon the Adivasi’s right to make ippasara (mahua liquor), says a report in The Hindu. In Bihar, even possession of the flower is a punishable offence. As a result, Adivasis tend to hush up about making and drinking mahua. Teta, for instance, distills it in a still at the end of a dark, winding passage. “Somebody might come and harass. It’s an unnecessary hassle to prove you’re not wrong,” he says. State paternalism towards Adivasi drinking goes back to the Raj. The British banned home distillation of mahua in order to increase revenue from government spirits. They even banned collection and sale of the flower as homemade liquor brought no revenue. The nationalist movement made alcohol a symbol of the British and hence anti-Indian. Freedom movement leaders, including Mahatma Gandhi, wanted universal prohibition. After independence, the state continues to push this agenda. Mahua flowers classified as intoxicating substance under Bombay Abkari Act, 1878. British ban collection and sale of Mahua flowers in Bombay Presidency under Mhowra Act. Madhya Pradesh Excise Act and Bihar & Orissa Excise Act brings Mahua under state control. Congress attempts total prohibition in provinces ruled by them—Madras, Bombay, United Provinces, Central Provinces, and Bihar. Prohibition is included as a Directive Principle of State Policy in Article 47 of the Indian Constitution. Total prohibition, including Mahua distillation, is imposed in Gujarat and Wardha. Indira Gandhi instructs states to allow Adivasis to brew home liquor. MP allows brewing up to 5 litres. Total prohibition imposed on Gadchiroli district of Maharashtra. Bihar mandates licence for collection of more than 5 kg mahua flowers. Total prohibition imposed on Chandrapur district of Maharashtra. Jharkhand restricts trade of mahua flowers. Withdraws order after tribal protests. Total prohibition in Bihar imposed. Chhattisgarh notifies rules restricting storage, and trade of Mahua. Withdraws order after protests. The Adivasis have reacted to each of these incursions. They protested British laws; they made liquor on the sly; they were influenced by the elites’ idea of development and emphasised abstinence in their self-improvement movements. When the Directive Principles of the Constitution included prohibition, Jaipal Singh, a Munda Adivasi from Jharkhand and member of the Constituent Assembly which debated on the new Constitution of the Indian Union, called it an interference “with the religious rights of the most ancient people in the country”. 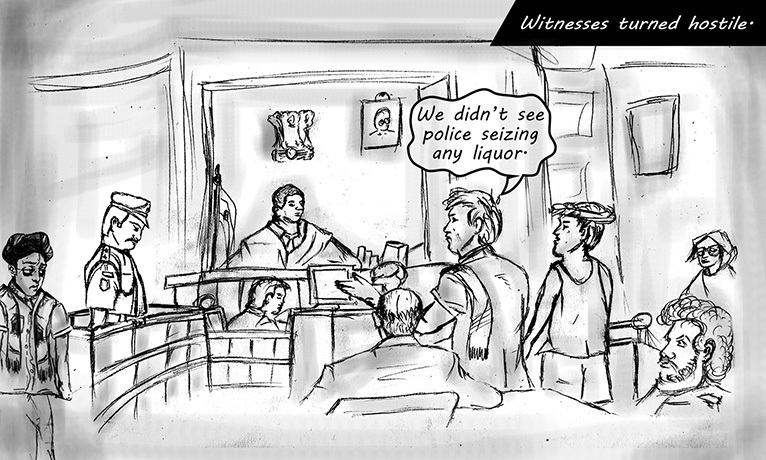 Neither of Teta’s sons—Maksudan(29) and Mithun(25)—drink the liquor he makes. This is the story of every family in the village, says Maksudan, who works for a local NGO Sahabhagi. A form of cognitive dissonance has set in—the more euphorically Adivasis talk about mahua flowering, the less forthcoming they are about their holy alcohol. Few people tell stories of the first taste of mahua liquor as a child, how one learned to distil it, etc. Instead, consumption refers to medicine, ritual, and weddings. After a week of travelling across the district of Kanker, Teta was the only person who agreed to show us how he distills mahua. Most people say they do not make it. Others quietly quit the conversation. The old men nod shyly, and women smile. Without exception, every person who admits to consuming mahua says he started only after marriage. There are no candid stories of drinkers turning into a parrot, then a tiger and a boar, like Pashupati. At the village haat at Thema in Kanker, Phool Singh Vatti, a 70-year-old Gond, sells mahua flowers. Then, he sits under a tree, taking tiny sips from a bottle as he talks. “Dawai (medicine),” he says as he closes the lid and places the bottle next to him. “The elders don’t say sharab (alcohol); they call it and treat it as a medicine, after a hard day’s work,” explains Paikara. At the tiny store across the road, a young man on a motorbike stops and buys a pouch of “Sher chhap (lion brand)”, industrial liquor. 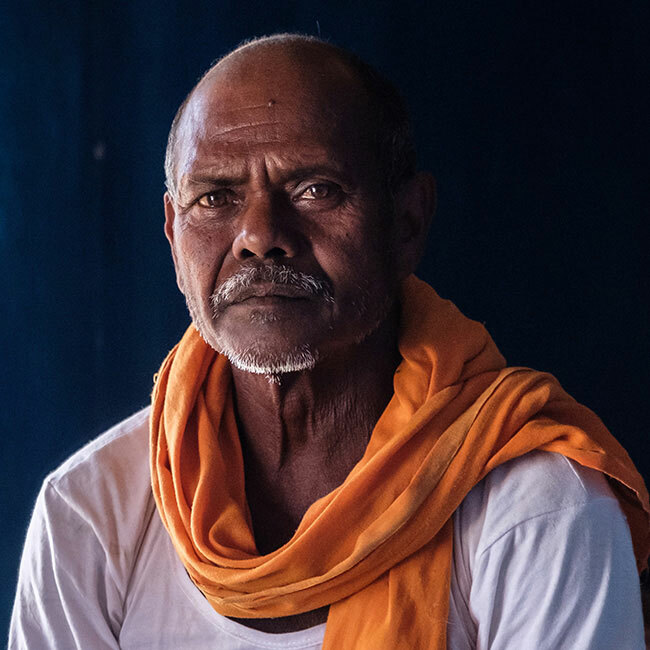 “We see the liquor consumed in three forms: Mandh-land phand (mischief), Sharab-kharab (evil), and daaru-dawa (medicine),” says Narsingh Gota of Khairwahi village in Kanker. The shift in attitudes is aided by the decreasing value of mahua in their lives. 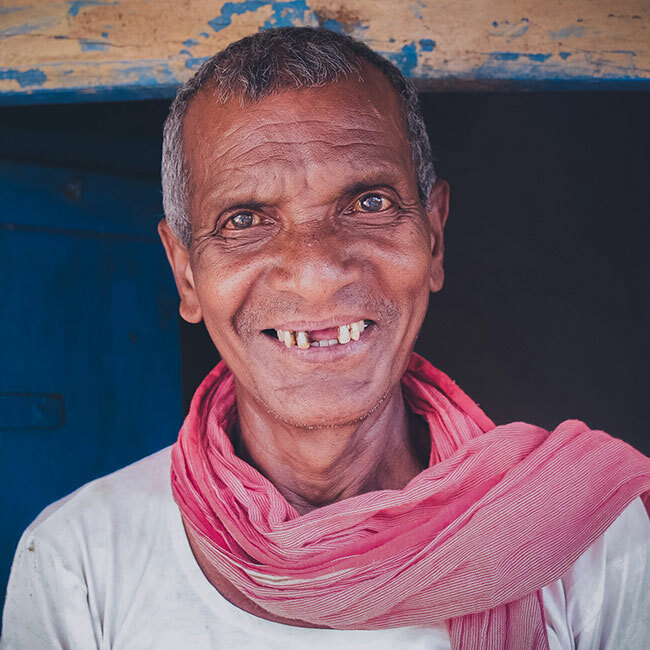 Adivasis no longer live off the forest as access is reduced and aspirations for better lives take hold. Consumption of mahua has become vaguely disreputable. 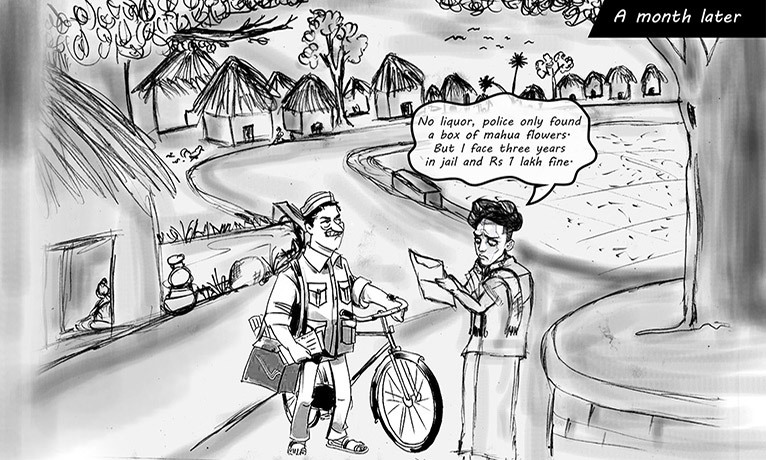 There is increasing concern about alcoholism in Adivasi society. But the link between regulations and patterns of consumption is often ignored. Regulations have forced a change from home made mahua to strong industrial liquor. This switch is at least partly responsible for alcoholism. 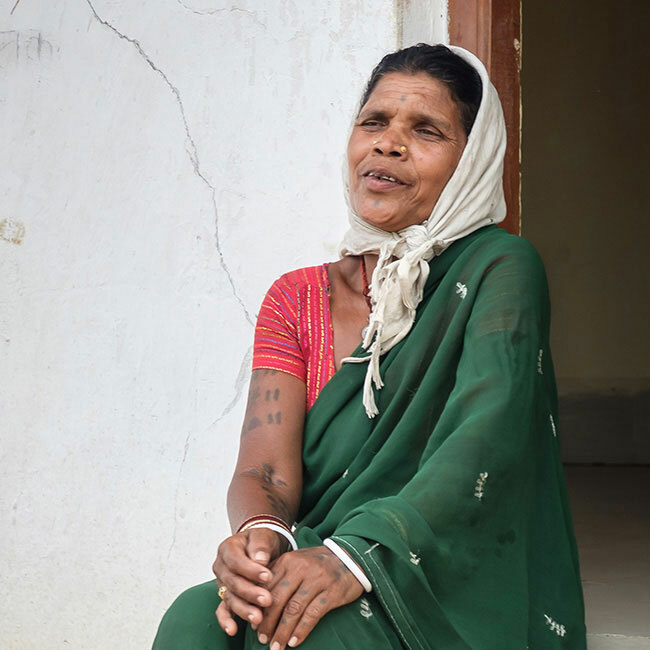 With mahua sidelined, many feel it is another step in the loss of Adivasi identity. With every such loss, we lose a piece of our history. “The concept of development has been so closely linked with the upper class Hindu culture that the Adivasis are compelled or tempted to follow it. 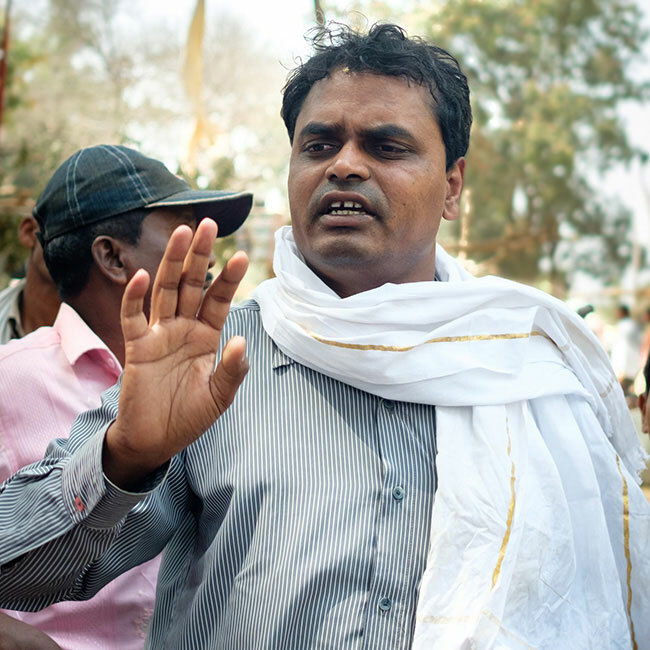 This has undermined the Adivasi culture, rituals and food,” says Nogoti of Gadchiroli. Indigenous alcohol production was highly decentralised and entangled with local economies, says Robert Eric Colvard, an assistant professor of history at Wayne State College in USA. 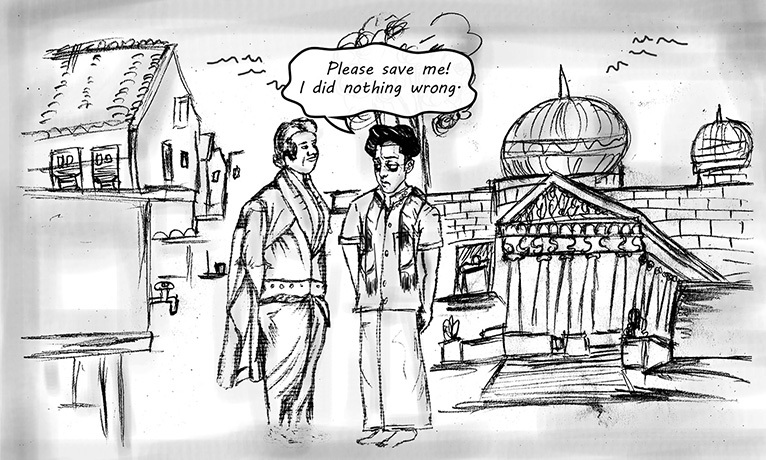 He wrote his 2013 dissertation on A world without drink: temperance in modern India, 1880-1940. “Stopping it means a loss of livelihood. It is a transfer of economic power to the traders and the government,” he adds. Some states have dealt with the fear of this loss better. The BJP-led Assam government declared traditional brews by various tribes to be heritage liquors. This is an effort to build an economy entrenched in the ethnicity of the state, says finance minister Himanta Biswa Sarma. Goa’s feni has done something similar for far longer. But some change is coming through. The Forest Rights Act and the Panchayats (Extension to Scheduled Areas) Act have been slow but have paved the way for Adivasi assertion of Jal, Jungle, Jameen (Water, Forest, and Land). In Gadchiroli, gram sabhas have taken over the trade in mahua flowers. They access bigger markets while protecting collectors from exploitation. 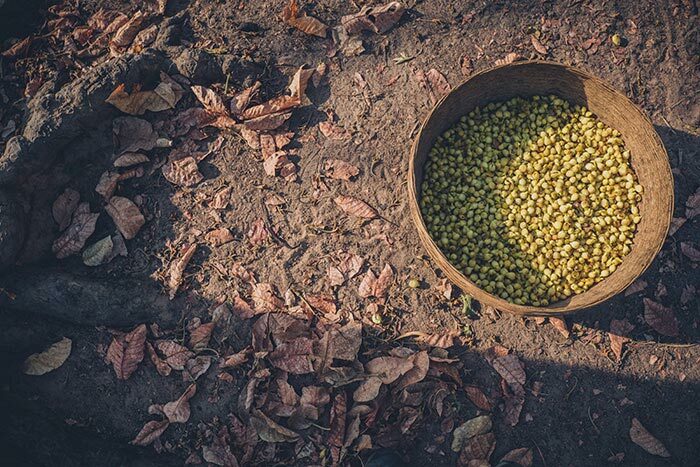 A 2010 study by the Centre for Rural Development and Technology, Indian Institute of Technology (IIT), Delhi suggested that mahua flowers could help solve two of the biggest problems in Adivasi regions—unemployment and malnutrition. Several scientific papers have been published on the potential of mahua oil for production of biodiesel. There are discussions about developing making wine and other alcoholic beverages from mahua. 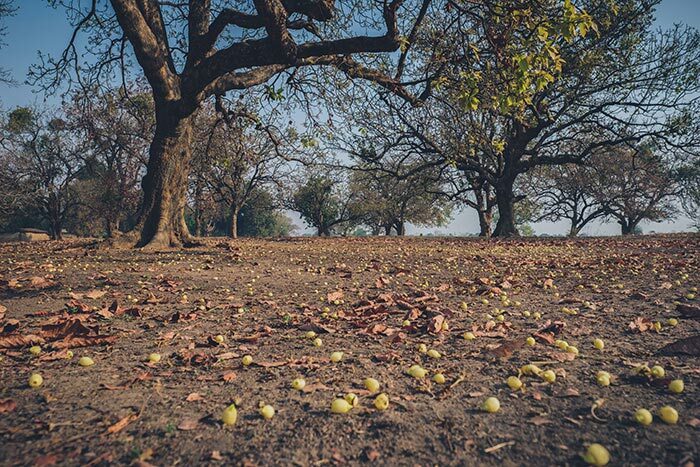 IIT-Delhi and the Central Institute for Subtropical Horticulture, Lucknow, have together developed a standardised protocol to make quality wine from mahua flower. There is hope that a new mythology may yet add to the old traditions. Source: Flowers of Madhuca indica JF Gmel: Present status and future perspectives. Teta’s son Maksudan is in a hurry, though it is Sunday. He is late for class, he says. Maksudan attends a Gondi language class in Kanker town every Sunday. He was inspired to learn when he came in contact with Narayan Markam, who promotes Gondi culture through speeches and workshops. Maksudan, Teta’s son, works for a local NGO Sahabhagi. Photo: Sriram Vittalamurthy. The language has opened the doors of understanding Koya Punem, the Gondi way of life where nature is an intrinsic part. This has made him “proud” about his traditions and rituals, about his identity. “Our rituals are a way of handing over the traditional wisdom to the next generation, but we started forgetting the meanings and mindlessly performing them. This is why we are drifting from our culture,” he says. 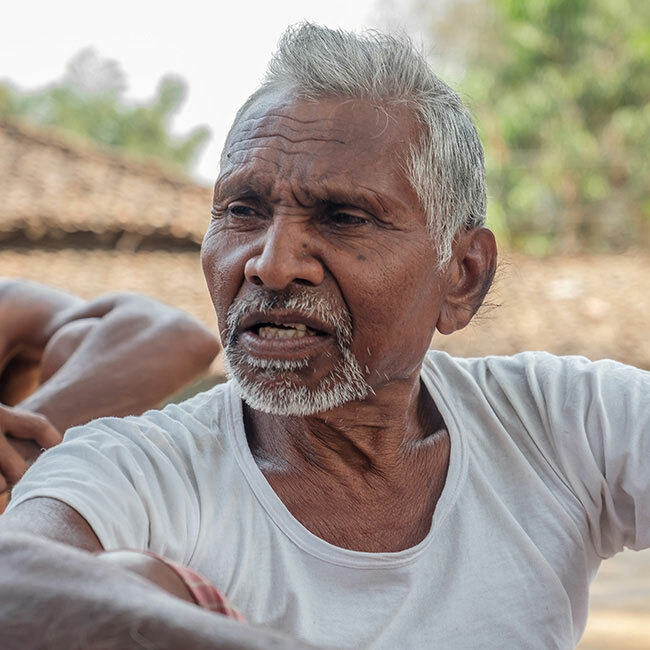 The outsiders—people from other communities—often talk of the Adivasi way condescendingly, he says. “We—our food, rituals, way of doing things—are looked down upon. It made me uncomfortable. 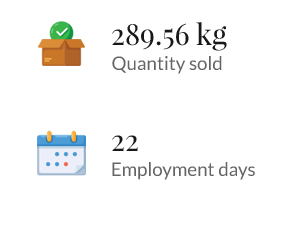 Now, I explain why we do what we do. I want to be part of our old traditions just because I understand the meaning behind them,” he says. There will be a lot of mahua drinking at the Kadsad tomorrow, he says laughing. is a freelance journalist and photographer.